Reveal your hand. 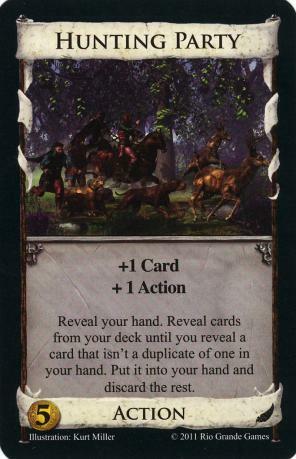 Reveal cards from your deck until you reveal a card that isn't a duplicate of one in your hand. Put it into your hand and discard the rest.